Good Tymes Shelter at the Sycamore Park District Sports Complex on the north end of Airport Rd. in Sycamore is only reachable by boat on Wednesday, June 17, 2015 after the river rose overnight from Monday's rain. 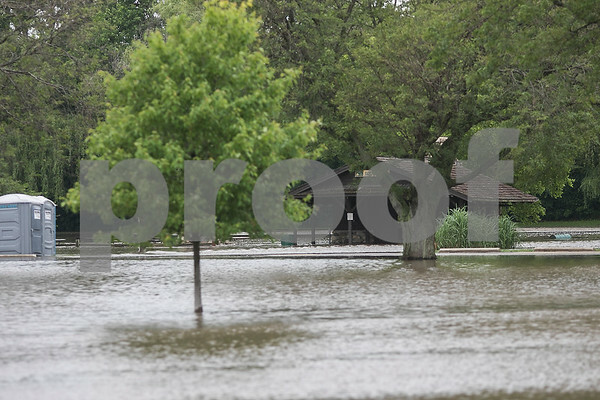 The Sycamore Park District closed the Sycamore Golf Club as well as the community pool because of flooding to the parking lots and around the clubhouse.